That cake is soooo pretty! I love how the flowers pop off of the white. I swear this could've been on the cover of Martha Stewart Weddings or something! Did it taste good too? Anyway, it's a great teaser to get us prepped for the rest of the wedding. I'm sure it was lovely! 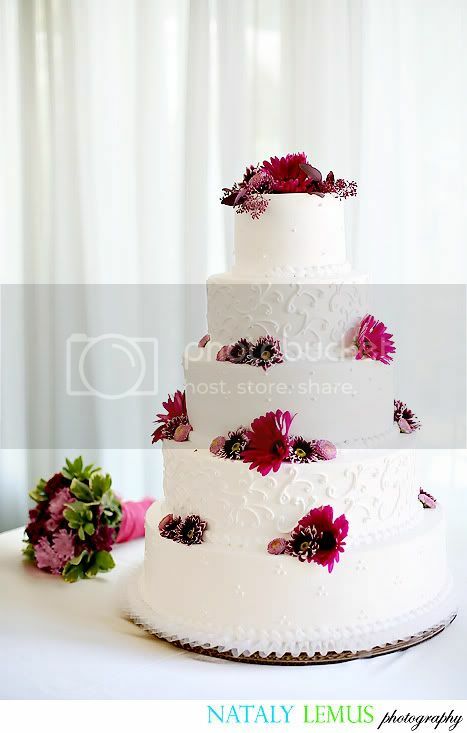 I wish I would have tasted the cake, but that was the one wedding which I was in so much pain from the fractured rib. I could not even drink anything :( The cake was beautiful, though!